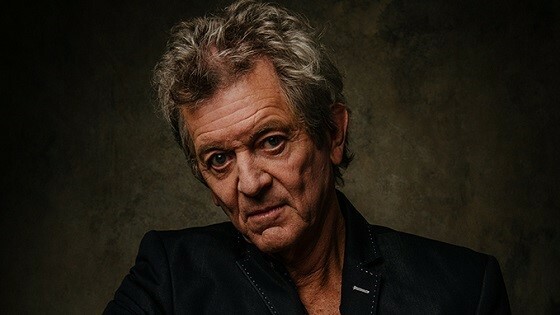 Rodney Crowell has been doing this for a while. In fact, his career has been so long and varied that you have to specify exactly which this you’re talking about. There’s the record-making, which dates back to 1978 (when he released Ain’t Living Long Like This), peaked commercially a decade later (with Diamonds & Dirt, which yielded five number-one country hits), and has only grown in sophistication and power in recent years. There’s the fiercely lyrical and personal songwriting, which has attracted the attention of everyone from Bob Seger (who famously covered "Shame On the Moon") to Keith Urban (who had a number-one hit with "Making Memories of Us"). And then there’s the autobiographical writing, which extends beyond the music world to a memoir, Chinaberry Sidewalks, which was published in 2011. Now there’s a new album, Close Ties, on which Crowell both demonstrates his strengths as a songwriter and illustrates how he has learned to balance personal recollection, literary sophistication, and his profound musical reach. It’s at once his most intimate record and his most accessible, the product of years of understanding the ways songs can enter-and be entered by-life. "It’s a loose concept album, you could say," Crowell says. "And the concept is related to how you tell stories about yourself. Having a few years ago written a memoir, my sensibilities toward narrative-especially trying to find a common thread in different pieces of writing-had become a part of my songwriting process. One of the reasons I brought Kim Buie in as a producer is that I wanted her to work with me the way an editor works, to look at a number of songs and find the ones that worked together to create a tone." Close Ties is a roots record, in the sense that Crowell himself has deep roots that stretch back into the alternative country scene of the early seventies. But is defies easy classification. Is it country? Is it a songwriter record? Does art need categories? "Well," Crowell says, "when I was a quote-unquote country star for my fifteen minutes of major fame, I hated the label. I bristled at it and got myself in trouble. I would go around to radio stations and that early morning drive-time, chirpy optimism, and I would come across as grumpy. They knew my mind wasn’t in the right place. I was an interloper in that world. I didn’t fit it. It soon spit me out. In hindsight, it should have: I was no asset to their goal, which was to satisfy their advertisers." On the other hand, the rise of Americana music struck a nerve with him. "I have declared my loyalty to Americana. It’s a hard category for people to get their heads around, or at least the terminology is. But all the people who represent it-Townes van Zandt, Guy Clark, Lucinda Williams, Steve Earle and more recent stars like John Paul White and Jason Isbell-share a common thread, and that thread is poet. Whether they are actual poets or their music exemplifies a poetic sensibility, generally speaking, the Americana artist shuns commercial compromise in favor of a singular vision. Which resonates with me."